First, I apologize for the major lack of DIY’s and posts. Reality hit too hard and it is taking a lot of my time, energy, strength, and attention. I have placed my Easter and Mother’s Day Series on hold, but not before I made what would be the finale for the Easter Series. Here goes…. 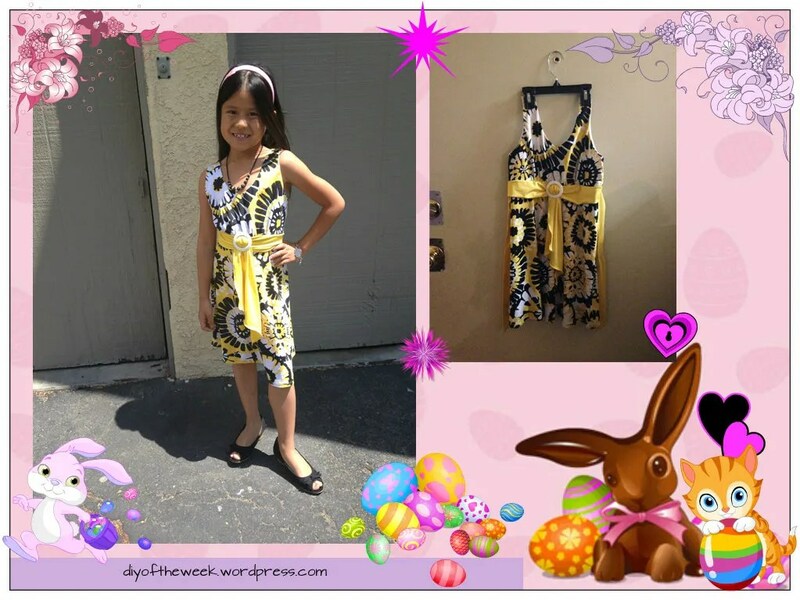 My daughter found this dress @ Goodwill way back. She had already planned that this will be her Easter dress. It was a size 12. At that time, she was a size 6. Now she’s a 7. So all I had to do is cut a portion in the back and sewed the straps in. Oh what a mom has to do when her princess just got to have that dress. And — she’s not a fan of the color yellow. Yeah it’s not a refashion per se— but this is my way of saying don’t let the size discourage you from buying or wearing an outfit anymore! 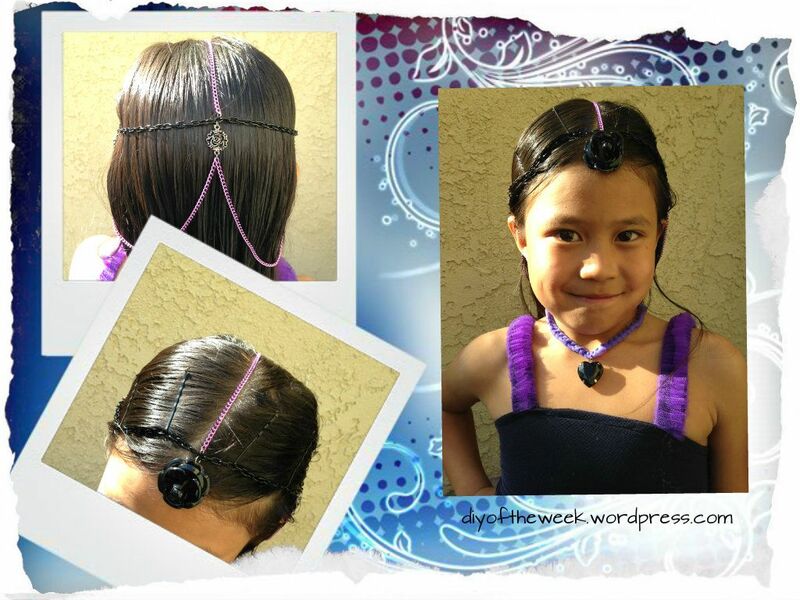 Refashion Series/Costume Series: Mother Made – Princess Approved! Rinoa: “Oh by the way, you’re making my costume for the play? Using her favorite Ever After High character- Raven Queen, and her two new favorite colors of the year as inspiration. I’ve come up with this costume. I wished I took pictures of how this was constructed. Maybe on the next costume. 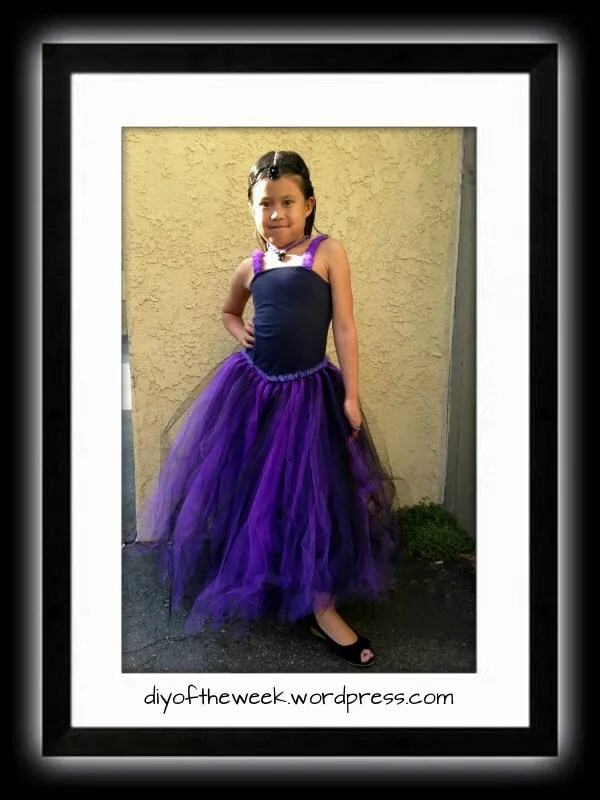 But these are the materials used: black shirt, purple dress, 1 roll 50yd/blk tulle, 2 rolls 25yd/purple tulle. I crocheted the waistband for the tulle to be looped on, and hand sewn the tutu skirt on the dress. I also made a head chain, and necklace from left over tulle using a chain stitch. I'm a single mom, working a full time job. Hooked on Korean dramas. But sometimes, being a mom, an amicable ex [twice], a full time employee, a chef, driver, party planner, accountant, counselor, coach, tutor, nurse, cook, and housemaid is not enough. Life these days is not just keeping up with the Jone's. It's the Stewart's, Kardashian's, and some Housewives of some socialite city too. My pennies can only stretch so far, and my mind can only handle so much. I'm at that point where I need to come up with decor, kids' fashions [and mine too] and keeping myself sane. The solution is doing it myself. I've done everything else myself, why not try a hand at creating new things too?